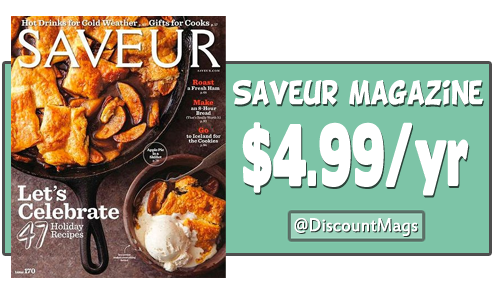 Get a Saveur magazine subscription for $4.99 a year when you use the code: SOUTHERNSAVE during checkout. You get 9 issues a year at 55¢ each. This is a great subscription for anyone who enjoys cooking (or eating). Learn about new foods and cooking styles from around the world. This deals is good through 4/17.